Samsung, no doubt one of the most mobile smartphone manufacturers in the world. Every year, they come with new innovation, technology and some experiments with upgrades in their products. 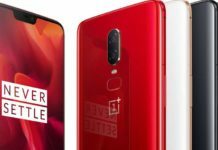 Last year, they had their S9/S9+ as their flagship device with the latest Snapdragon 845/ Exynos 9 and upgraded cameras. As successor, this year they should come up with S10 with more features and upgrades up its sleeve. 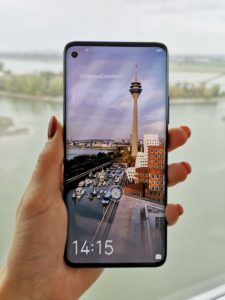 So in this Article, we will cover upcoming New Features in Samsung Galaxy S10. This time, the device is supposed to have UFS 3.0 storage which in theory, has 2 times transfer speeds than the UFS 2.0 i.e., whopping 23Gb/s that was used earlier in Samsung Galaxy S9/S9+ and Note 9. This is one of the most awaited New Features in Samsung Galaxy S10. 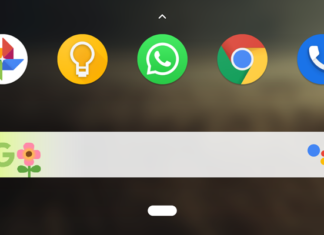 Unlike last year, the upcoming flagship is supposed to come with Samsung One UI on top of Android Pie which was recently announced in a Samsung event. However, some Samsung devices are going to get One UI via OTA Updates and according to Samsung, the One UI is supposed to be better than their Samsung Experience. Last year, the Samsung Galaxy S9/S9+ had dual camera system which was super dope considering its Variable Aperture technology for Day and Low Light shots i.e., it has the ability to change focal length from f/2.4 to f/1.5. This time, the Samsung Galaxy S10 is rumored to come with a triple camera setup where the third camera unit could be a wide-angle lens considering their recent Samsung. Over their last two flagships, Samsung is choosing Bezels over notch with their curved display at sides. 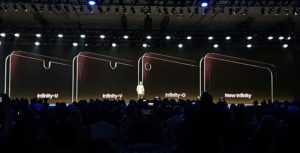 However, as per their recent Teased displays, The Samsung S10 could come with the Infinity-O display which has a punched hole in the display for the Front camera at the left side. Now Many Phones are featuring this feature, recently Huawei Mate 20 Pro comes up with In-Display FingerPrint Scanner. 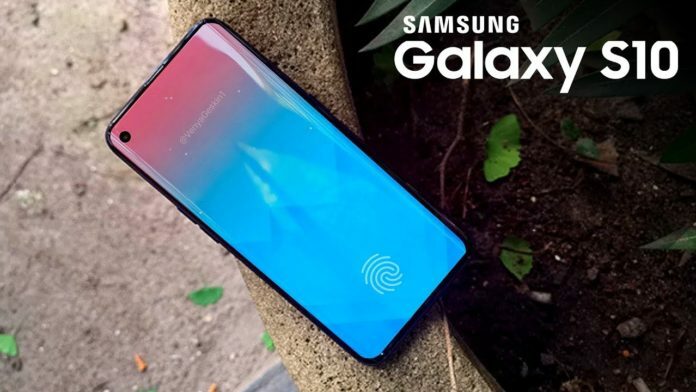 SO, Like other brands, Samsung could move to In-Display fingerprint scanner this time like the Vivo Nex or OnePlus 6T that would make the rear of the phone more lenient and clean. However, the unlock speed will be less than a rear fingerprint scanner but its still a good move. 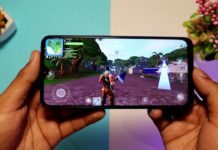 We are very excited to see these kinds of New Features in Samsung Galaxy S10. 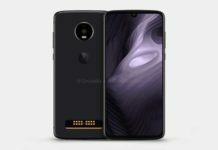 The Samsung Galaxy S10 could possibly have 5G connectivity but it is not supported in Exynos chipsets yet which implies that Samsung could launch a different variant for the 5G option or limit the 5G model to the US only. Stay tuned to Techburner for more! Next articleReliance Jio Gigafibre launch and its target states and cities!! Interesting Article ! Samsung S10 Will Be Most Powerful Smartphone With Snapdragon 855 & May Be Punch Hole Camera Display. Great Article !